When we think of the idols we hold, the famous people who we look up to and respect, we should hope that just as we respect them, so too they should use their wealth and platform to give back to those less fortunate. 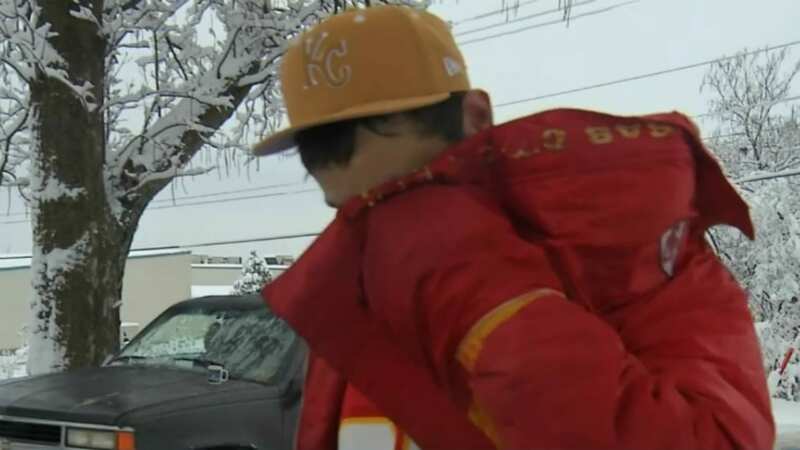 That’s precisely what happened when one NFL player in particular got stranded in a snow drift. The man who helped extract him from his precarious situation happened to be homeless. But what’s more, what this Good Samaritan didn’t notice ended up changing his life entirely. One man’s gratitude was about to pay it forward in the most incredible way. 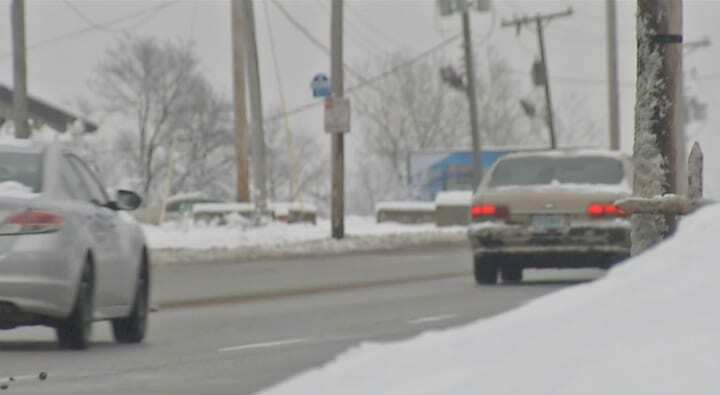 It was a snowy, bleak day in Kansas City, Missouri, and the frigid weather conditions were abysmal, impacting many people on the roads on January 12, 2019. 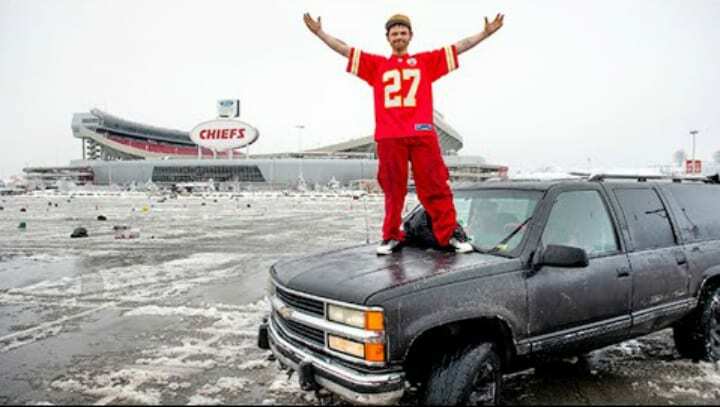 Kansas City local Dave Cochran was driving along the city’s outskirts, navigating down Highway 40 in his Chevy Suburban truck, as he was wont to do. Because of the bad weather, he had a hunch drivers would be having some difficulty. And because of his circumstances, he had plenty of time to seek them out and give them a helping hand. But what — or more specifically, who — he would find would change his life in a way he never thought possible. 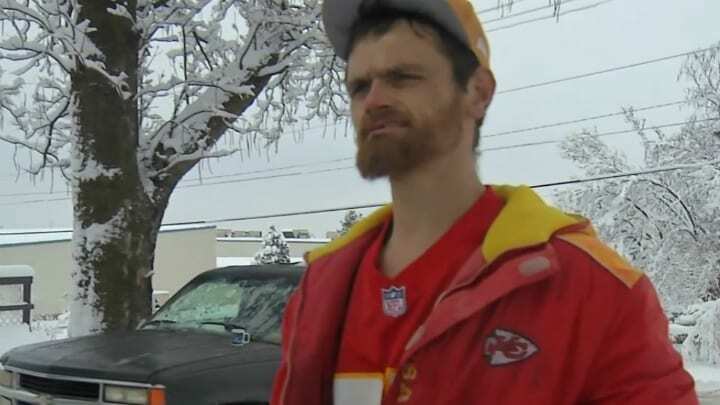 There was a reason Dave was patrolling the icy Kansas City streets, just hoping for any opportunity to uplift someone, even if he could not do much to impact his own situation. Dave had a rough past, starting even before his teen years when he was confined in his county’s juvenile court. With only a six-month break interrupting his past prison sentences, he had been incarcerated from 2008 to 2015. 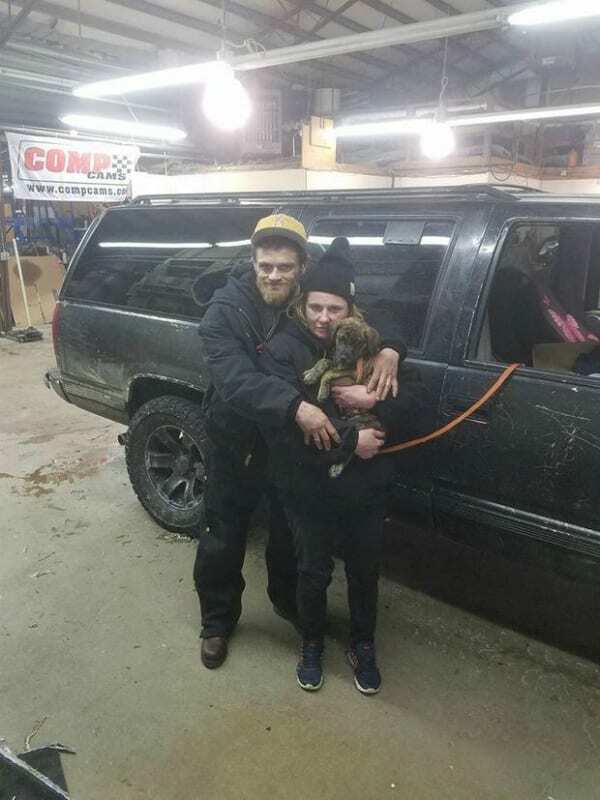 Now homeless and unemployed, he was still in a difficult period of life, living out of his truck with his fiancée and their dog. But his good intentions were about to shift everything. 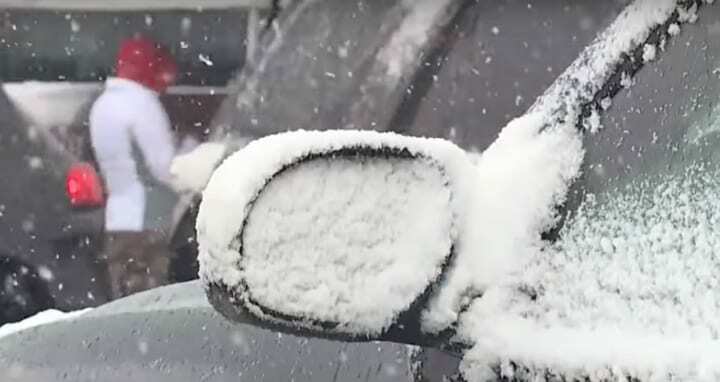 The winter conditions were severe and several cars were stalled by the side of the road on account of the harsh snowstorm, with drivers unable to regain control of their vehicles. Dave knew he had the capacity to do something, and therefore he had to stop to help his fellow motorists. He first pulled out one car, and then another. All in all, no less than five drivers were in need of his assistance. He was about to continue on his way, but then he noticed there was yet another stranded vehicle. What’s more, the car had a Texas license plates. That simple fact made Dave stop and think. Because of the Texas license plates on the stranded car, Dave instantly figured the driver was not used to dealing with their kind of cold. He approached the vehicle, a brand new BMW. Dave Cochran stopped his truck by the side of the car, rolled down his window, and asked if the driver needed any help. The other driver then rolled down his window too. The driver responded by saying he would be glad for some help, because he had to get to the stadium for the game. Dave understood; that day, the local football team, the Kansas City Chiefs, was expected to play against the Indianapolis Colts in the city’s Arrowhead Stadium. Cochran sprang into action. Dave tied ropes to the stranded BMW and hit the gas in his own truck, towing the car out of a snow drift and up a hill. At first, he was a bit apprehensive — here he was in his big truck, lugging along this brand new car as carefully as he could. He didn’t want to accidentally harm the car in the process of helping the driver out. But Dave successfully and safely extricated the BMW, and got it back onto the main road. The driver, stunned, thanked him, and then explained who he was. 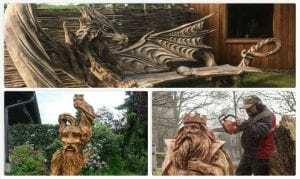 Dave had not recognized this famous face. Dave had gone about performing his random acts of kindness helping stranded drivers on the snowy roadside merely because it was something he was used to doing, and as he struggled to find a permanent job and a place to live, this was a good way to spend his time. And he wasn’t in it for the money. All Dave expected in return was to see some joy, and a simple thank-you. The driver thanked him profusely, and dropped a huge bomb: he revealed to Dave that he was, in fact, an NFL player. He sped along to get to the stadium in time. And Dave was about to discover the repercussions of his actions. 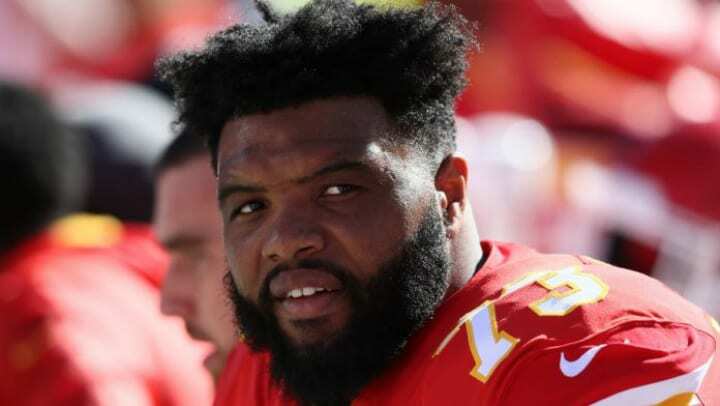 The driver inside the stranded car that Cochran had rescued was none other than Kansas City Chiefs offensive lineman Jeff Allen. When he had told Cochran he needed to get to the stadium, he didn’t mean as a spectator — he had to get there before kickoff so he could play in the game! 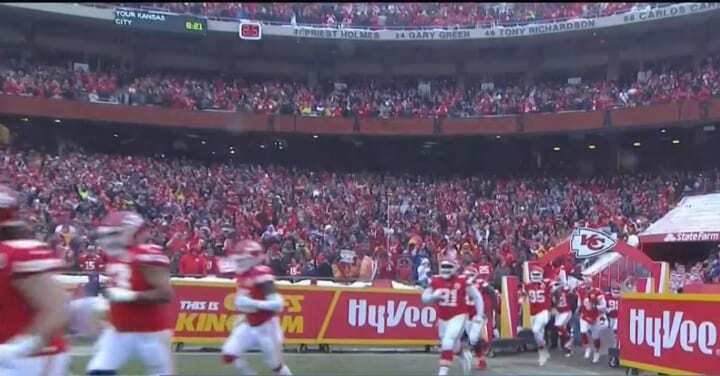 The NFL player sped off to another victory for his team: as it happened, the Chiefs defeated the Colts that day, 31-13. That meant they would be able to compete in the AFC Championship and potentially go to the Super Bowl. 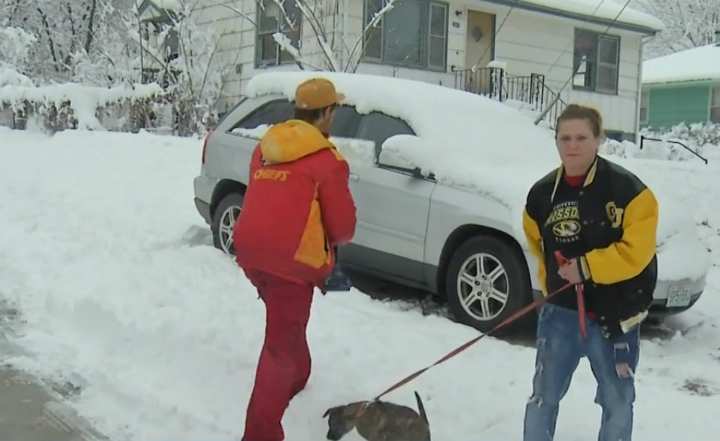 And when Jeff Allen got home, he couldn’t forget the man who had helped him. 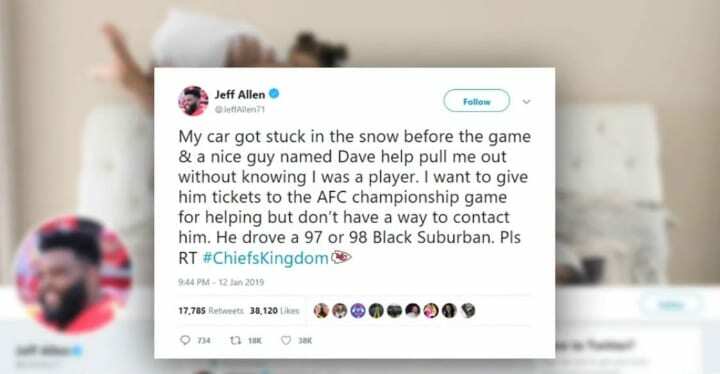 NFL player Jeff Allen was determined to locate Dave, because without his random act of kindness, he would not have been able to participate in his team’s victory. Yet the only clues that Allen had about the Good Samaritan who had helped him get his vehicle out of the snow was his name and the knowledge that he had a Black Suburban. He took to social media, publishing on his Twitter account to his more than 21,000 followers so that he could find Dave purely by the description of his car. Perhaps someone in the Kansas City area would recognize this character. Allen had a way he wanted to repay his kindness. Though it quickly went viral, at first, Jeff Allen’s online search for his redeemer in a Black Suburban stalled. Because of how vague his Twitter query had been, it was all too tempting to anyone interested in cashing in on the opportunity for their own gain at the expense of the NFL player. 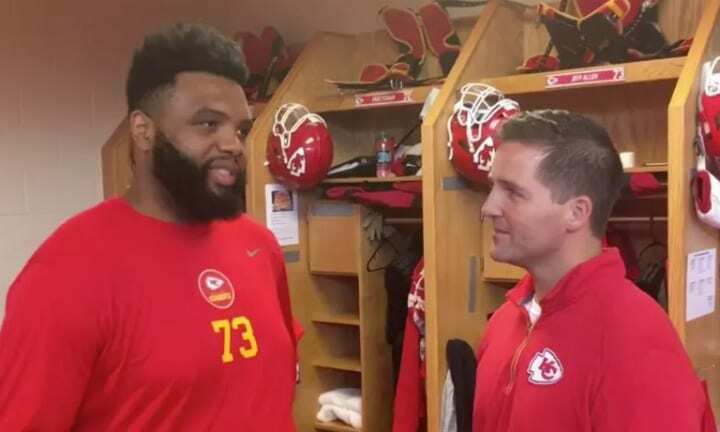 In a confusing twist, a lot of people in the Kansas City area responded to Jeff Allen’s tweet, changing their names to Dave, claiming they were the person who had helped him out. For a moment, it seemed like finding a homeless man merely by virtue of his first name would be impossible. The NFL player had to sift past all the accounts trying to take advantage of his kindness. But despite all the fakers hoping to get themselves a moment of fame by interacting with the Kansas City lineman, he would eventually manage to find the one true Dave Cochran. By chance, friends of Dave’s ended up seeing the NFL player’s tweet and called their friend to let him know. Dave couldn’t hold back his emotions after seeing Jeff Allen’s words and in turn made a Twitter account in order to respond to the professional athlete. 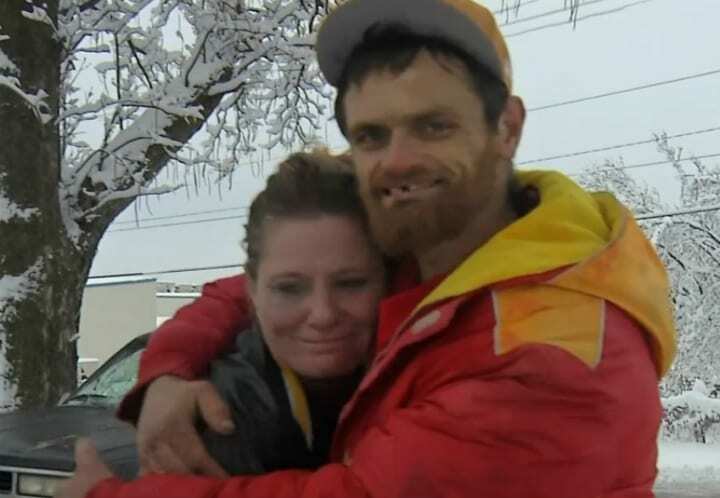 In attempt to verify his identity, Dave posed a video to the social media platform saying he had been the one to help Allen on that snowy day. 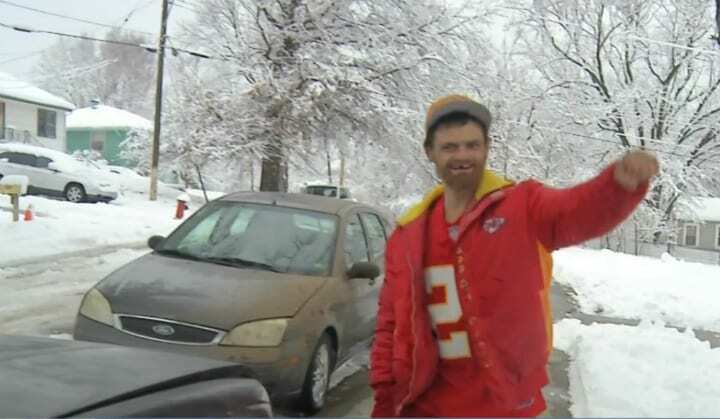 “Update: Despite the recent influx in people changing their name to Dave in the KC area lol, I was actually able to track down the Dave that helped me thanks to the power of social media and #ChiefsKindgom. Thanks for your kindness,” Allen then wrote to his online following. At that point the pro football player made a call. When Dave got the phone call, he was flabbergasted. 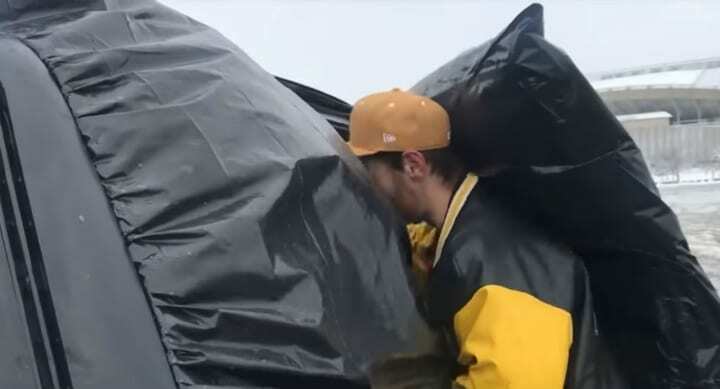 He hadn’t done anything out of flattery for a celebrity, merely helping an anonymous driver because he wanted to and he felt it was the right thing to do in that situation. But when he heard what the person on the other line was saying, he burst into tears. As he sobbed on the phone in utter disbelief at the ray of light he was so suddenly receiving, Dave Cochran was told that the grateful NFL player Jeff Allen wanted to give him three free tickets to the upcoming AFC championship game against the New England Patriots. 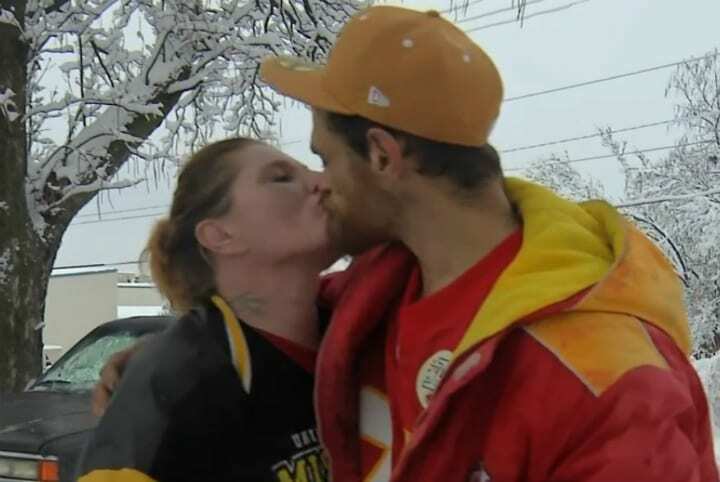 Dave had never been to a Chiefs game, let alone the championship. Jeff Allen also wanted to afford his rescuer a five-night hotel stay for himself and his fiancée, all expenses paid for. 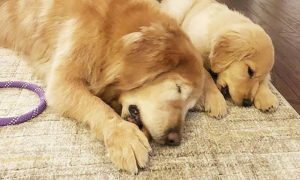 For the first time in a while, they would be able to sleep in a real bed. Dave was in awe. But that was far from being the only thing he was going to receive in light of his actions. The NFL player’s search had not gone unnoticed in his team’s home base. The attention that Jeff Allen’s post had attracted allowed for something far greater than merely locating the Good Samaritan. 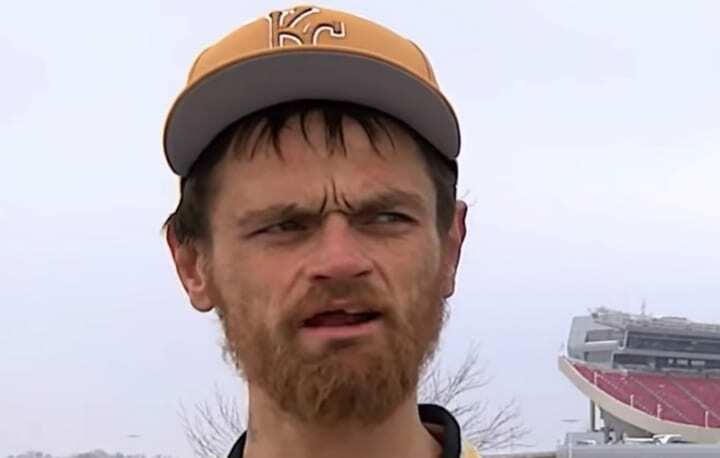 Local news stations caught wind of the heartwarming story about a football player and a humble homeless hero, and interviewed Dave Cochran. On camera, Dave gushed about the experience, his head still reeling as he tried to process the sudden wave of kindness that had washed over him so unexpectedly. And that news coverage became the spark for the next chapter in his story. When people learned about his situation, they were inspired to help. The news story out of Kansas City sparked a wildfire on social media, shared repeatedly. Viewers saw what a good heart and kind, selfless intentions Dave Cochran was motivated by, and saw him as a diamond in the rough. He shattered people’s preconceived notions about what a homeless man living out of his truck must be like. A graduate student in nearby Manhattan, Kansas named Justin Manford set up a GoFundMe drive in Dave Cochran’s name, even though the two didn’t know each other. Thanks to the NFL player, ordinary people across the nation began to donate money to help construct a new life for Dave, because they believed in his story of redemption. Meanwhile, back in Kansas City, locals banded together. From the query of the one NFL player, the community banded together. Local companies in Kansas City reached out to help Dave. It was cold, and three of Dave’s back windows in his truck were broken, covered only by black plastic bags. 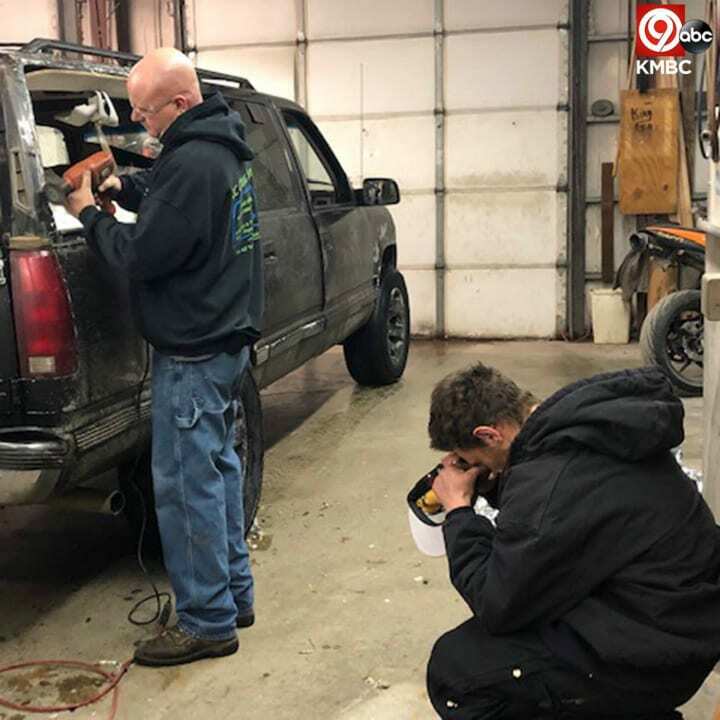 Local auto glass company KC Glass Guys offered to help replace them, free of charge. But that wasn’t all. A local veterinarian’s office volunteered to check out Dave’s beloved dog. Additionally, clothing store E. Edwards Work Wear offered to give Dave and his fiancée new clothes, winter boots, and some gift cards to do some more clothes shopping, prompted by having seen his story on the 5 o’clock news the evening before. Then came game time. Brimming over with excitement at something he never dreamed in a million years he would have the opportunity to do, Dave Cochran brought his fiancée and his sister with him on the flight to Massachusetts, to watch the Kansas City Chiefs play the New England Patriots at Foxboro Stadium — for free. 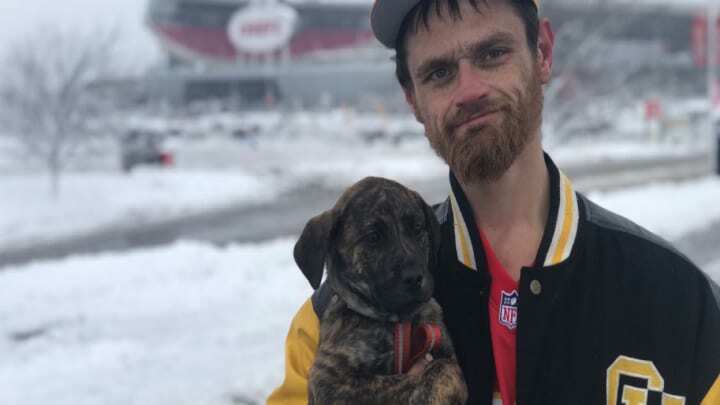 His NFL player friend gave it his all on the field, and though the Chiefs ended up losing to the Patriots, that didn’t matter to Dave. He was fully present and grateful, recognizing that this was obviously a once-in-a-lifetime experience. And all the while, behind the scenes, forces were still at work to shape his future. The GoFundMe set up in Dave Cochran’s honor succeeded beyond anyone’s expectations. All in all, the drive managed to collect at least $14,000 just to help Dave Cochran out, to restart his life after his chance encounter with the NFL player. 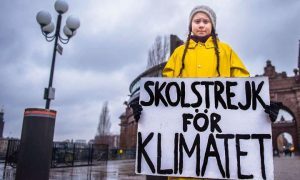 This meant they had well surpassed their initial $10,000 goal. 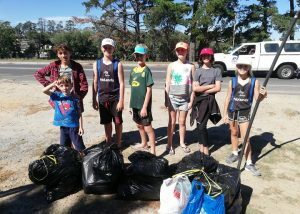 Dave’s naturally generous heart and simple act of kindness, boosted by the fact that he had not been blinded by celebrity, spoke to the core of people across the country. Now, he had the means with which to get a serious head start on reshaping his life. So what would keep him moving forward? The chance meeting with his NFL player pal came in the middle of an important period for Dave. After the whole ordeal, the ex-felon stated that he wanted to start his life again in the best of ways, making sure the future would be solid both for himself and his fiancée. He has said that he wants to accomplish his goal in part to make his sister proud too. 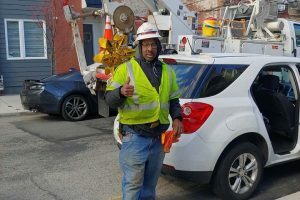 Dave Cochran’s employment aspirations are perfectly in line with his patience and selflessness. 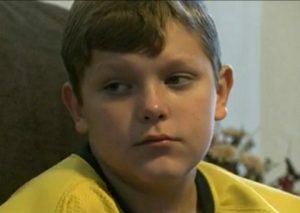 For a career goal, he is aiming high, with a dream of working with children with autism, or finding a way into pediatrics somehow. Additionally, in the more immediate future, he has an even bigger goal. Launched into stardom by the gratitude only an NFL player can show, Dave is now looking into how he can right the wrongs of the past. Dave has a son, and desperately wants to be able to see him again. He needs to maintain his sobriety in order to do so, but things are looking up. At the time when he had helped out Jeff Allen, he had already been sober for three months. In the meantime, as he figures things out, he’s still stopping at the side of the road to help people out — because that’s the kind of person he is. Unfortunately, not every person in Kansas City has an NFL player guardian angel. Though by no means whatsoever unique to the area, homelessness is a growing dilemma in Kansas City. Over the past year, reports show that the number of homeless individuals living in the city has grown exponentially, yet homeless shelters are unable to contain them. This leads to many people sleeping under bridges or even strangers’ backyards. The problem is particularly felt among single homeless adults without kids, as the main shelter in the area is geared toward families. 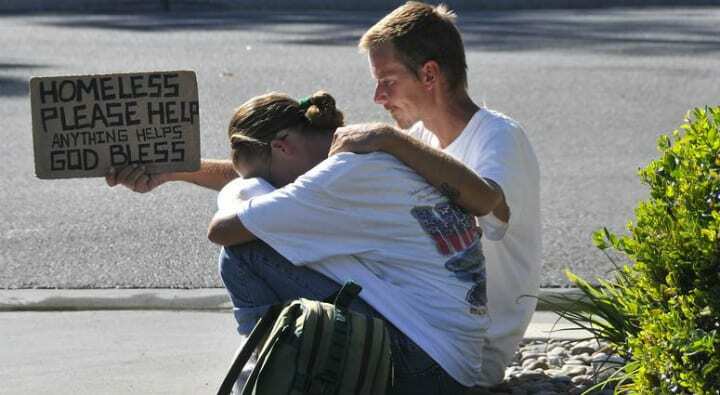 There are also high rates of homeless youth, and the number of homeless individuals overall in Johnson County is at its highest point in six years. Fortunately, the Chiefs are doing something to aid individuals before they reach that point. 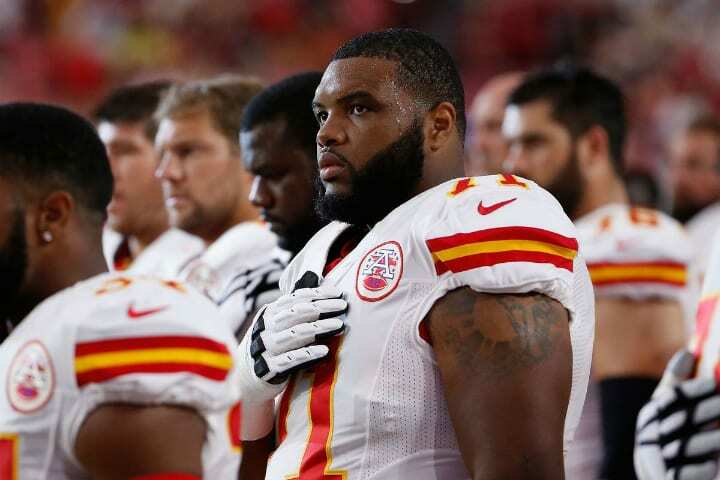 The workplace atmosphere that NFL player Jeff Allen was a part of already had a recent history of making sure it gave back as best as it could. 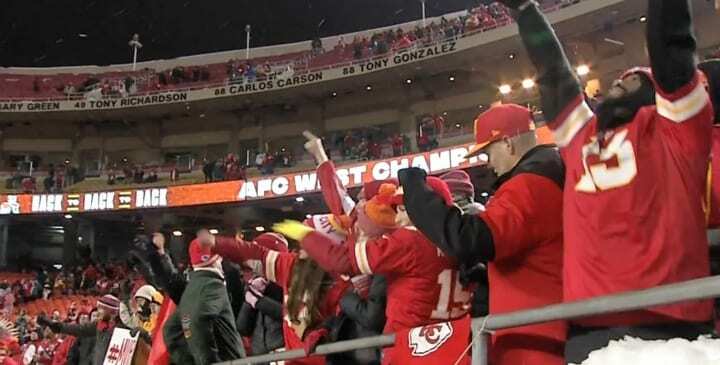 The Kansas City Chiefs have been holding an annual charity game for over three decades, which is the top event of its kind in the NFL. Called the Chiefs Charity Game, this philanthropic endeavor holds friendly preseason games in order to raise money for a charity of choice. In 2018, the charity the team partnered with was called Cornerstones of Care, providing $485,000 for the organization which helps foster children. And the team members show their support very visibly. 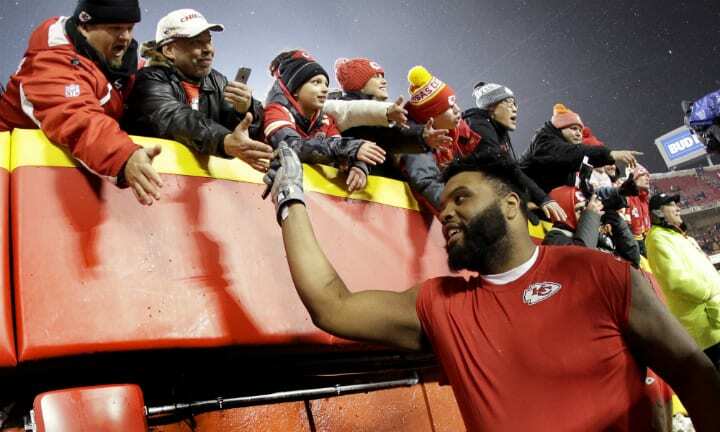 Thanks to their dedication to philanthropic causes and their awareness of their community far beyond the realm of sport, the Kansas City Chiefs have managed to generate up to $6 million in donations just over the past decade. Each year, the players participate in an initiative called My Cause My Cleats. After selecting a charity of their choice to represent, each player will go to an artist to paint the charity’s emblem on their cleats, so that they are represented and recognized during a game. They then auction their cleats away for their adoring fans, with proceeds going to the charity of choice. So how did Jeff Allen become a part of this? Dave Cochran encountered Jeff Allen at the perfect juncture in his career. Born and raised in Chicago, Jeff Allen’s football ambitions took off during his time at the University of Illinois at Urbana-Champaign. 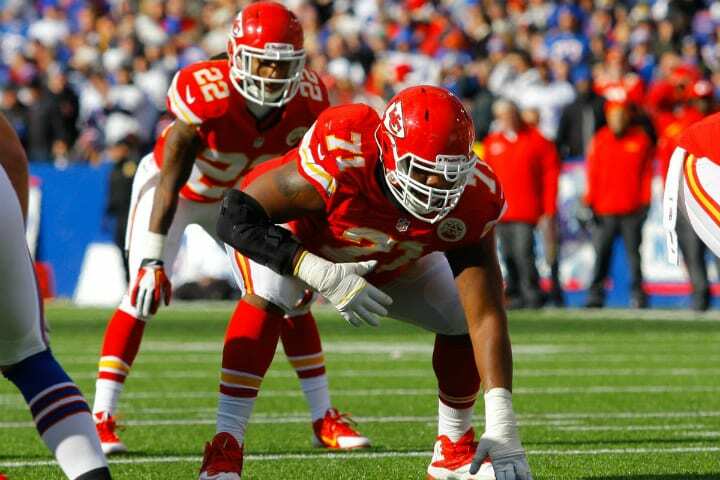 He began his professional career with the Kansas City Chiefs in 2012, yet he would go on to sign a contract with the Houston Texans. Yet, due to injuries, he was released by the Texans in July 2018. And in October 2018, he returned home, full circle, to the Kansas City Chiefs — just in time to be in the area for Dave Cochran to find him. And Jeff Allen is not the only NFL player in the news recently for having used his position of power and fame to help others. Sometimes, the smallest act can cause the biggest ripples. As if international air travel wasn’t strenuous enough, 22-year-old flier Delilah Cassidy found herself in an unbelievably nerve-wracking situation when at the ticket counter in LAX. 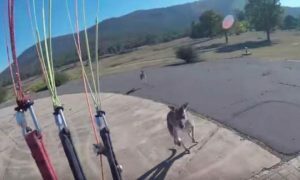 She had flown all the way from London en route back home to Arizona, almost home free — but then came the obstacle that nearly broke her. She was surprised at the ticket counter by the announcement that she would have to pay to carry on her bag. 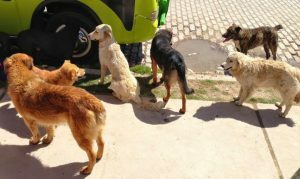 It would have been an aggravating announcement for any traveler one step away from completing a long journey, but Delilah had a far bigger problem. She couldn’t pay, because she hadn’t brought a working credit card. Cassidy was tearing up from frustration, neither able to pay to check her bag, nor able to leave it behind. The ticket agent told her they could not let her on, and she would miss her flight home. Then, seemingly out of nowhere, up walked a true gentleman to save her day. 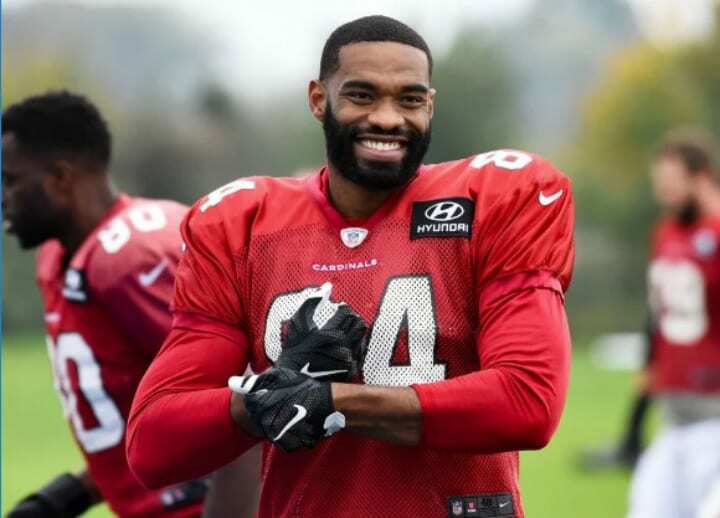 As an Arizona local, Cassidy recognized who it was: none other than Jermaine Gresham, tight end for the Arizona Cardinals. 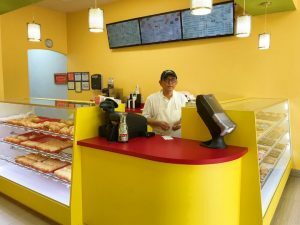 Without hesitating, he approached the counter and offered to pay for her bag, leaving Delilah stunned and crying tears of joy. And it turned out, this was not an isolated incident. 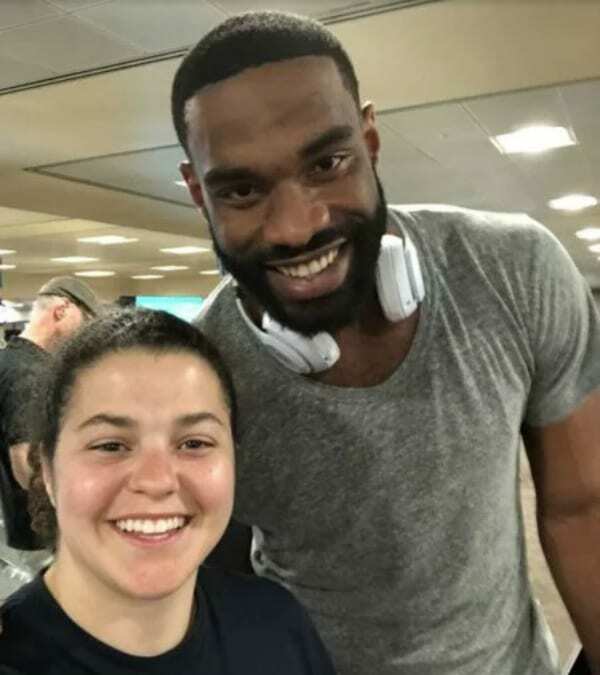 Delilah Cassidy waited until the flight landed in Arizona before coming up to thank Jermaine Gresham, and telling him that, unlike Dave Cochran when he had encountered Jeff Allen, she knew who he was. He hadn’t given the gesture a second thought, and he replied to her that he would hope if he had been in the same situation someone else would have stepped up to the plate. 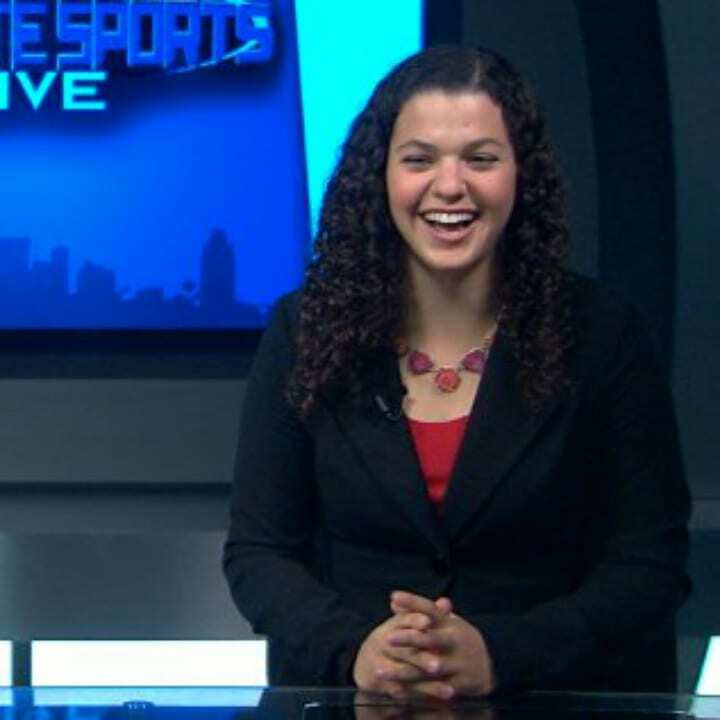 When Delilah’s tweets about the encounter went viral, other Twitter users stepped forward to verify that this was far from the first time Jermaine Gresham has made sure to pay it forward. One user said he once randomly went into a Scottsdale nail salon and paid for people’s nails. Another time in Tempe, he helped a struggling mother buy groceries. This day in age, it’s fantastic to know an NFL player can have such integrity and serve as true inspirations off the field as well.